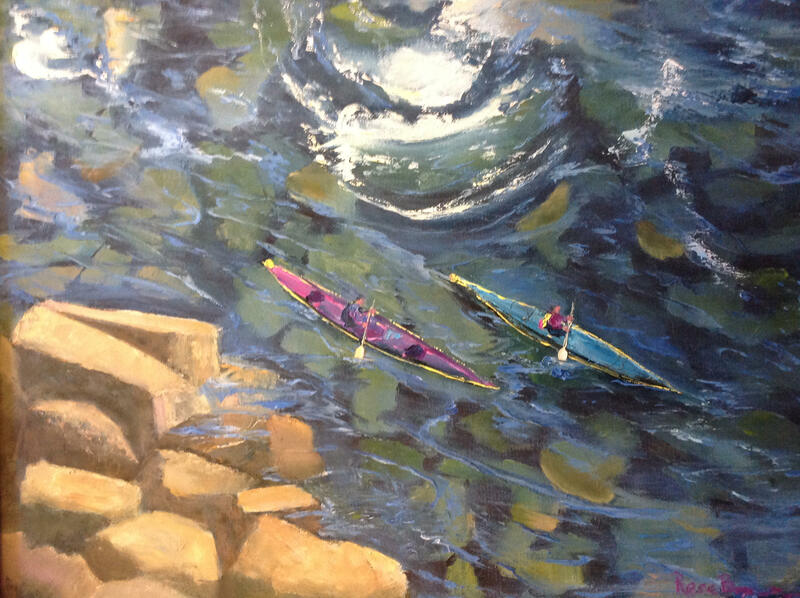 KAYAKING IN THE RAPIDS is an original 16" x 20" oil painting. 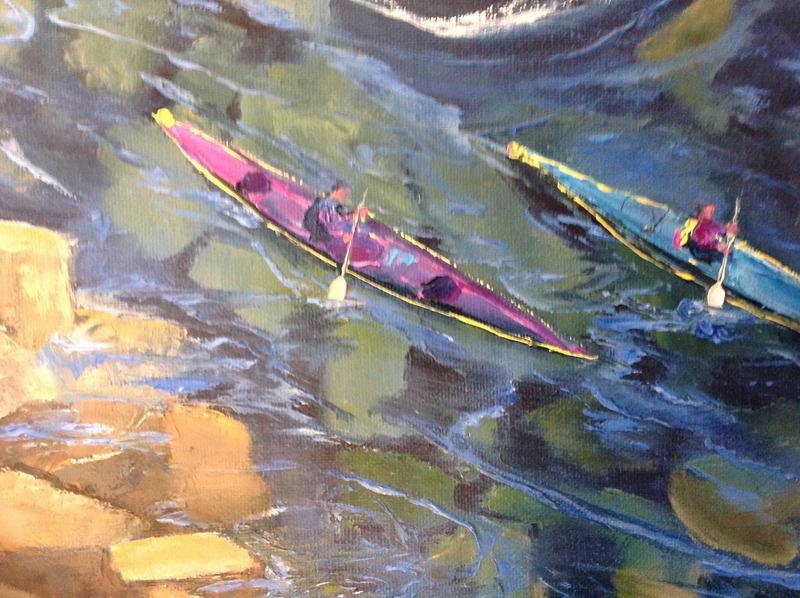 This is a wonderful painting of a couple of people kayaking on a river. 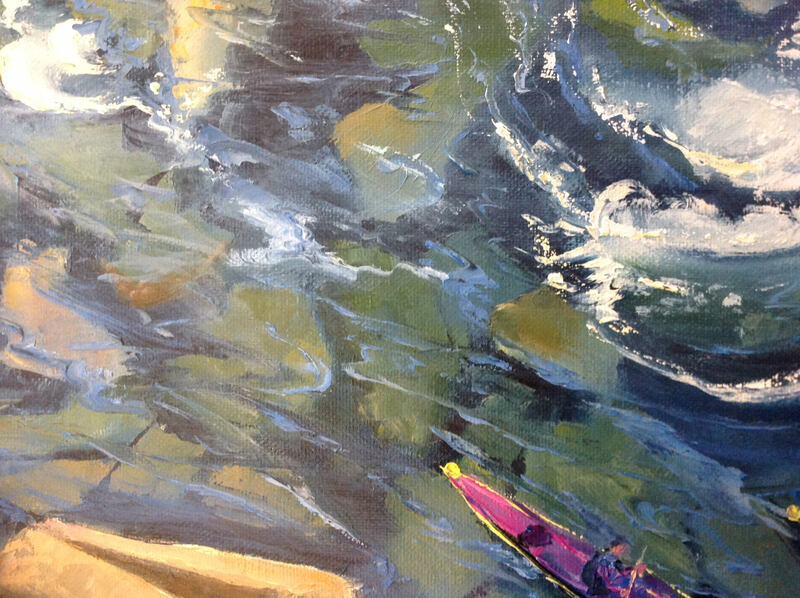 The water is churning over rocks and swirling into rapids, as the two people fight to keep their boats upright. On the left, rocks are visible above the water. This is a very attractive painting that anyone would be pleased to own. 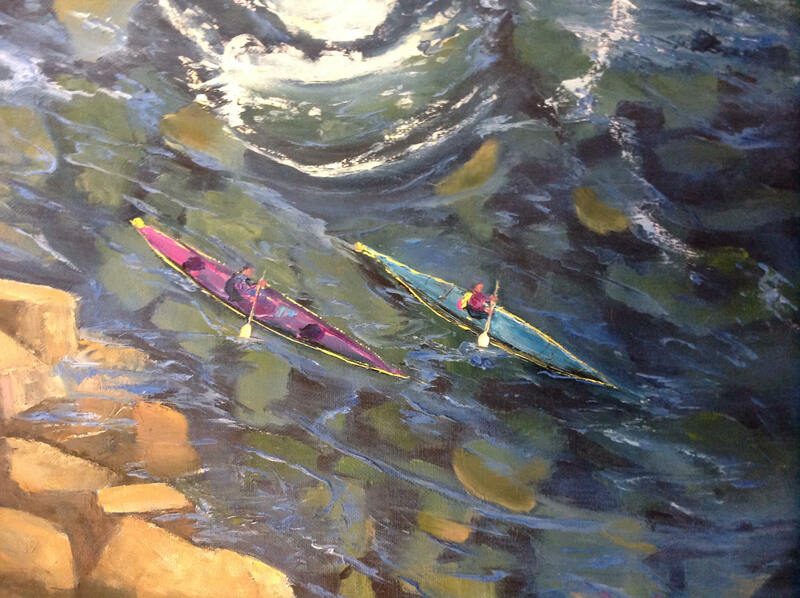 The detail on the water and rocks is simply stunning. 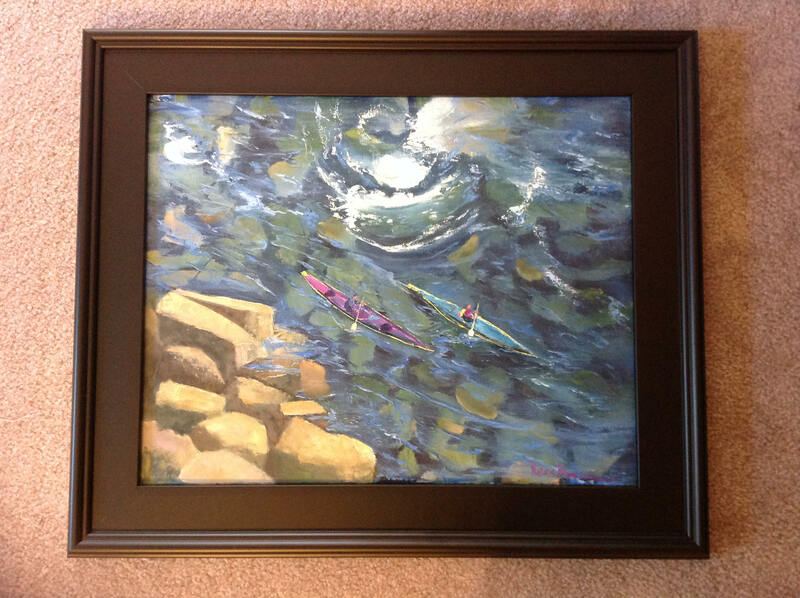 The final picture shows the painting framed. 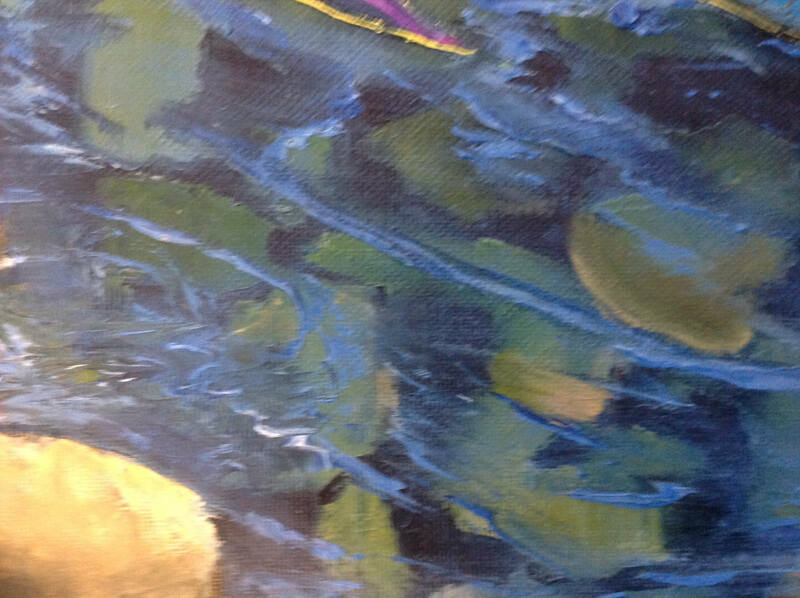 This is to show how a frame sets off the vivid colors of the painting. Even though a frame is not included, if a frame is wanted, please send an email and we will renegotiate the price.